As an entrepreneur myself, I’ve learned so much from podcasts. It’s an amazing platform to grow and educate yourself. Yet, all of the podcasts I listen to are about entrepreneurs and business leaders in NY, LA, and Silicon Valley. There’s not a podcast to highlight those winning in Mississippi. I feel strongly this is one of the reasons many entrepreneurs are leaving our state - they feel it’s easier to succeed in bigger cities. This is the reason I almost left a few years ago. But It’s not true. These are the stories of Mississippians who have made something. I hope you are challenged and encouraged by their stories. My name is Casey Combest and I grew up in Vancleave, MS on the Gulf Coast. I currently live in Jackson and have been in the metro area for 10+ years. I spend my days as an audio producer. I help solo artist and bands in the southeast craft their music to be unique and familiar in a crowded marketplace. My recording studio is called Blue Sky Studios (www.blueskystudios.org). My second business is producing podcasts. We currently produce podcasts for C Spire, Morgan White Group, Navitas Wealth Management, and Do Good Mississippi. I have a sweet wife name Ryen Combest from Puckett, MS who is a dyslexia therapist. Together we have a little girl named Addison and a dog named Grant (yep, a very human name). Mark Henderson is co-founder of Lazy Magnolia Brewing Company in the Kiln. To spite the adversities that you’ll hear about in the podcast, Mark and his wife brought something pretty unique and amazing to Mississippi. Craft Beer. This interview was done in their lab right off of the brewery floor, so you’ll hear some beeps from fork lifts, employees working in the background, and maybe Justin our engineer fall out of his chair. That happened. Kristen Ley is the founder of Thimblepress in Jackson Mississippi. Kristen and her team sell prints, greeting cards, notepads, tote bags and many other fun and creative products. Through their products they want to encourage kindness and inspire fun with the colorful, happy, and innovative products they create. 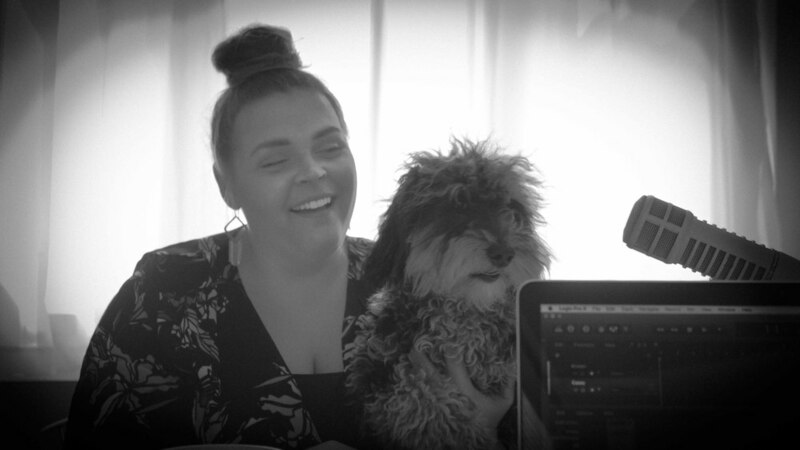 This interview was done in Kristins office, but we did have a guest appearance a few times by her awesome dog Willow. Joel Bomgar, formerly of Bomgar Corperation and now a State Representative, started a technology company in 2003 and grew that company to a pretty insane scale. In this episode we’ll talk about how entrepreneurship is scratching your own itch, what’s holding Mississippi back as a state, and what it feels like to sell your company. We also talk about the importance of enjoying the journey of entrepreneurship. This is crucial. If we don't enjoy the journey, then what's the point? Tripp Douglas is a graphic designer by trade, but as you'll hear, a serious entrepreneur. Running Crema Design Studio, and Fusion Coffeehouse keeps this Mississippi entrepreneur busy. Crema Design Studio specializes in creating beautiful and effective web, print, and logo designs. Fusion Coffeehouse is located in Ridgeland, MS and offers an incredibly high level of coffee and cozy, but elegant atmosphere. Tripp and I discuss the struggles of running two business, creating intentional white space in our lives, and the importance of gratitude. Jeff Good is an extremely accomplished restaurateur. He spends his days running 3 of Mississippians most successful restaurants. After college, Jeff spent 7 years working as a computer salesman for a Fortune 100 technology company. After that time Jeff opened BRAVO! with his partner Dan Blumenthal in the spring of 1994. They later opened Broadstreet Bakery and Sal and Mookies. In this episode, you'll hear about the hard work and sacrifices that it takes to establish and run a restaurant. This episode is loaded with practical tips and advice that I know you will enjoy. Will Primos is the founder and CEO of Primos Hunting. Primos Hunting manufactures calls for elk, deer, turkey, predator, and waterfowl as as blinds, shooting assessors, game cameras, attractants and supplements. They also produce the popular video series PRIMOS TRUTH ABOUT HUNTING. Tony Jeff is the CEO of Innovate Mississippi. Innovate Mississippi is a nonprofit organization with the mission to drive innovation and technology-based economic development for the state of Mississippi. They have helped a ton of Mississippi Startups and Investors team up.